Monday, November 06, 2017 by: Isabelle Z. (Natural News) Some people still think that pollution is an overblown concern on the part of “tree huggers,” but a new study puts the situation in perspective and illustrates precisely why each and every one of us should be doing our part to stem the problem. The study, which was published in the medical journal Lancet, showed that environmental pollution kills 15 times more people each year than all of the violence and war in the world. You think malaria, AIDS, and tuberculosis are worrying? Environmental pollution kills three times more people than those diseases combined every year. Six times more people die from it than road accidents, and it kills more people than hunger, natural disasters and smoking. In short, it’s highly destructive and needs to be stopped. Toxic exposure was behind one out of six premature deaths across the planet in 2015, which equates to around 9 million people. Moreover, sicknesses, welfare and deaths related to pollution add up to $4.6 trillion in yearly losses, which is roughly 6.2 percent of the worldwide economy. Perhaps many environmentalists aren’t exaggerating after all! Moreover, those 9 million deaths are only a partial estimate; the true number of people who have died because of pollution is certainly higher but current methods of measuring the harmful impacts of pollution are limited. Sub-Saharan Africa, for example, has no systems for monitoring air pollution, and soil pollution is largely ignored. On top of that, of the 5,000 new chemicals that have been dispersed widely throughout our environment since 1950, fewer than half been tested for toxicity or safety. Epidemiologist at the Icahn School of Medicine at Mount Sinai and lead author of the study Philip Landrigan believes that the issue isn’t getting the same amount of attention and resources as AIDS or even climate change because people only see scattered pieces of the problem rather than the issue as a whole. 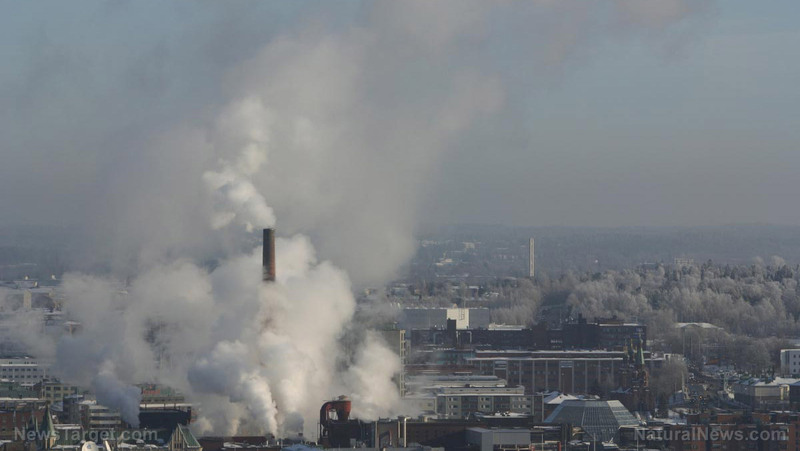 Looking at the statistics together paints a more accurate picture of pollution’s deadly reach. When it comes to problematic areas, Africa and Asia put the most people at risk. India has the dubious distinction of being the top individual country in terms of pollution; one in four premature deaths in 2015 there were caused by pollution. Following closely behind is China, where one out of every five premature deaths were from pollution-related illnesses. North Korea, South Sudan, Pakistan, Haiti and Bangladesh have similarly poor records. Despite these disturbing statistics, most of these countries have not done much to control pollution. India might have put some stricter emission standards in place for cars and factories, but they are largely ignoring dirty fossil fuels, crop burning, and similar problems. Ninety-two percent of pollution-related deaths take place in countries that fall in the low or middle income categories. Policy makers in such countries tend to place developing their economy as a higher priority than instituting environmental regulations, and outdated technologies are prevalent there. A similar trend is even seen in poorer communities within wealthier countries that do not have widespread pollution problems in general. Most of the pollution-related deaths came from non-communicable conditions like lung cancer, stroke, chronic obstructive pulmonary disease, and heart disease, according to The Independent. Other deadly diseases transmitted through unsafe water are linked to 1.8 million deaths. Not only are people suffering from pollution, but it’s also damaging economies as the sick and dead can’t contribute and also need to be cared for. The study reached its conclusions using methods laid out by the Environmental Protection Agency for assessing data taken from soil tests, along with water and air pollution data taken by the World Health Organization’s ongoing Global Burden of Disease study.